Welcome to Smart Training and Recruitment. We're a dynamic Training Provider approved by Ofsted. 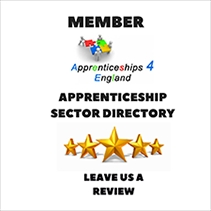 We deliver high quality, Government Funded Apprenticeship Programmes throughout England. Since we opened our doors in 2003 we've delivered over 16,000 successful Apprenticeships. Helping over 2,600 employers reap the benefit of having a dedicated, well trained and enthusiastic workforce. We offer our learners the chance to gain accredited vocational qualifications. With support from our expert team of highly skilled and inspirational Training Advisor. There's also traineeships.... the perfect stepping stone to an apprenticeship where you can develop skills and qualifications in real workplaces. We provide functional skills in maths and English, as well as guidance on job searching and interview skills training. As an employer, you'll see the benefits from day one. We provide staff training to meet your specific requirements, Free consultancy for individual businesses on a range of areas. We work in partnership with you to train and develop a motivated, skilled and confident workforce. Who will help your business grow? Don't forget the government grant – subject to status (you'll find more information about that right here on our website). Open the door to your future potential with our Training Advisor – just imagine where it could lead. I have worked with SMART for 5 years now and they have been an amazing 5 years. I believe SMART has helped me develop my career and since starting my first course 5 years ago, I have received 3 different promotions within the company I currently work for. I feel SMART has helped me learn more about my role/s than I would have learned on my own. When I was at school, I completed my A Levels and did not obtain very good grades. By completing SMART courses, I gained qualifications I never thought I would get and I received a fresh opportunity to broaden my knowledge and skills and become more desirable to other employers. I did not think I would get that chance again after leaving school. I have worked with 3 different Training Advisors at SMART and I can say they were all extremely helpful, friendly and approachable. They made me feel confident and comfortable in completing my courses and were very supportive throughout. I could not have asked for a better service from SMART. I would definitely recommend SMART to anyone &ndash; they are a fantastic training provider and the skills you receive from completing courses are invaluable. I&rsquo;m so pleased that I chose to sign up for Smart Training and Recruitment to complete my Level 3 Diploma in Business Administration. I have been able to grow within my role as a team Administrator and I now feel much more confident in my abilities. I feel more organised than I did before starting the course &ndash; One of my Personal Development Plan (PDP) targets at the beginning of the year was to look into having driving lessons &ndash; I have had many driving lessons now and I&rsquo;m not sure I would have self-motivated myself to do this without the PDP task within Smart. My Assessor was Debby Series, she has been an amazing help. Debby was very patient with me when I was unsure of something and I was able to text/email/phone her if I had any queries and she would always reply promptly. She explained everything to me in detail and gave me extensive, constructive feedback after every task that I completed. I will miss her monthly visits! I&rsquo;m very grateful that my company recognises the benefit of a Smart Training and Recruitment course, it has really helped me professionally and personally. I would definitely recommend to family and friends!